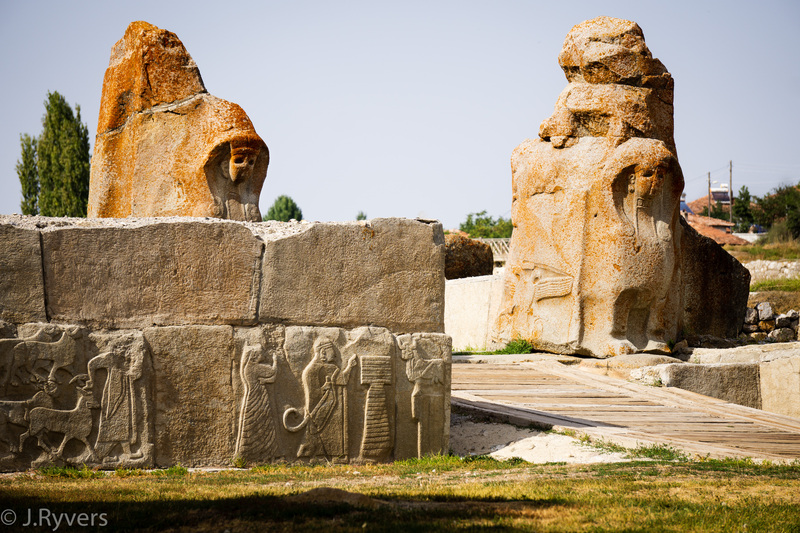 One of Çorum’s three major Hittite cities, Alacahöyük is a must-see if you’re interested in the mysteries of Bronze Age archaeology. 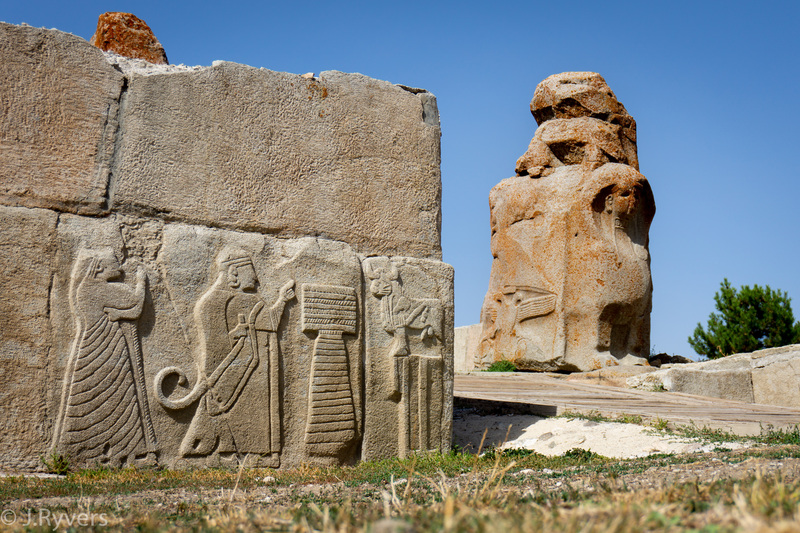 Settled for over 6 thousand years this city mound has been home to Hattians, the Hittites, Phrygians, Byzantines, Seljuks, and Ottomans, though the greatest treasures belong to the Chalcolithic and Bronze Age kingdoms of the Hattians and Hittites. 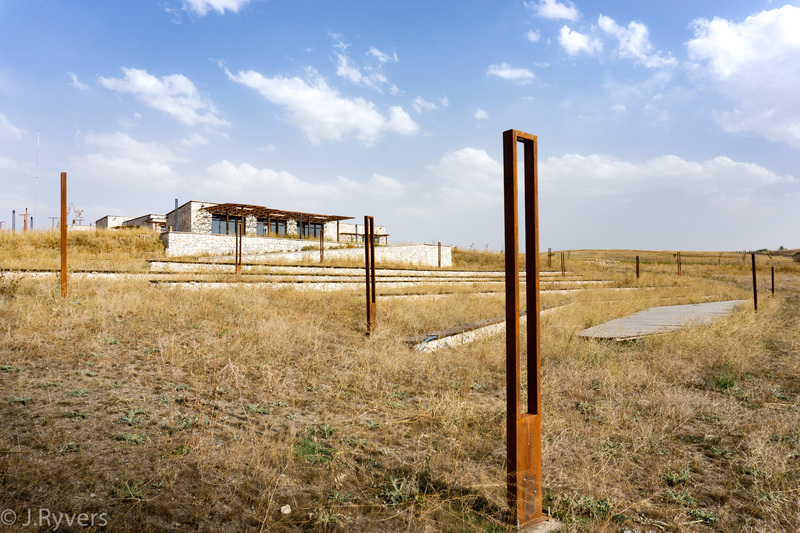 Excavations have been underway here since the discovery of the site in 1835, and at one point digs were even funded out of the personal wealth of Atatürk, the founder of the modern Turkish Republic. To date, digs have unearthed fifteen layers of settlement. NOTE: While Alacahöyük will certainly be interesting for anyone into archaeology or Bronze Age civilizations, it’s not an otherwise overly impressive site. 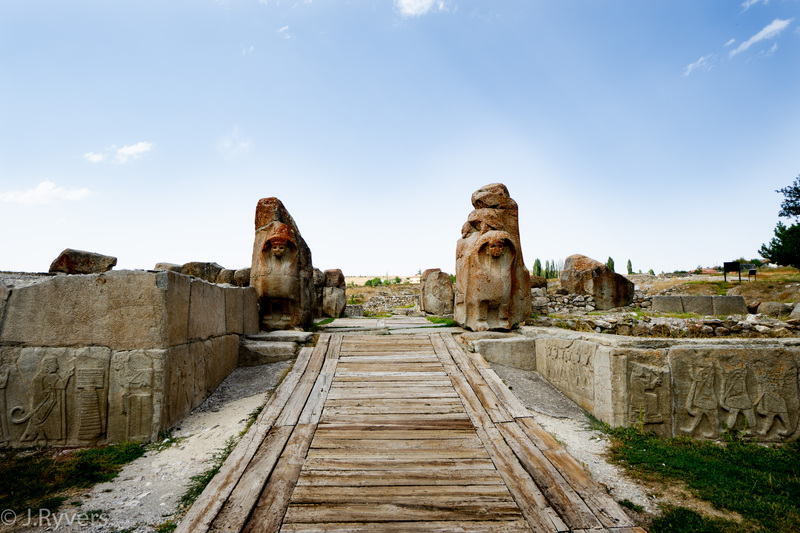 Your best bet for a major site is Hattusha, which is just 36 km away at Boğazkale. Alacahöyük is not a massive site and doesn’t require a ton of time to explore. Admission is also very cheap so it’s a great destination to include as a part of a wider itinerary. 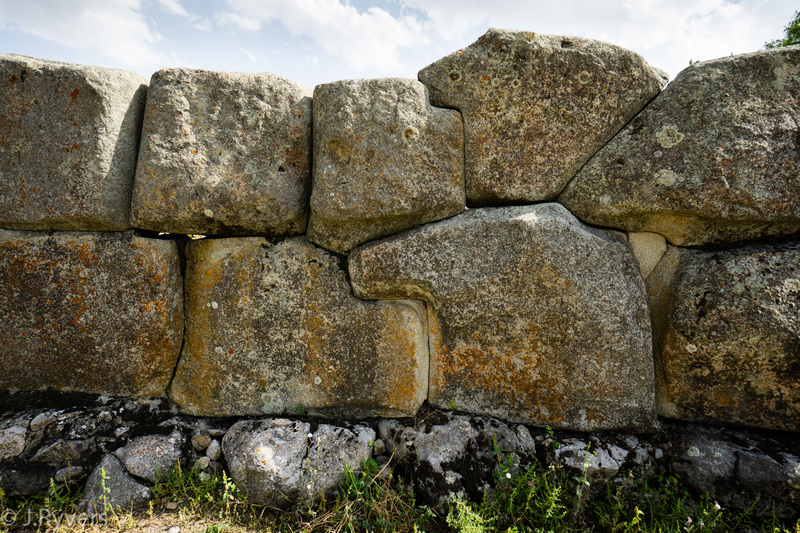 Alacahöyük’s rise to fame in the modern era was due in great part to the impressive Hittite era city with its heavy fortifications and ornate gates built against regular enemy raids. The city was built with only two gates, one of which is ruined (though the postern tunnel that was beneath it remains), the other being the Sphinx gate with its pair of orange lichen-stained sphinx statues keeping guard. The lower stones of the outer wall were carved with musicians, animals, and priests. The original orthostats (engraved stones on the lower portion of the wall) are now in a museum in Ankara. It’s important to keep in mind that Alacahöyük is REALLY old; so old in fact that Alacahöyük would have been abandoned for 1500 years before the Greco-Roman city of Ephesus began to go into decline. 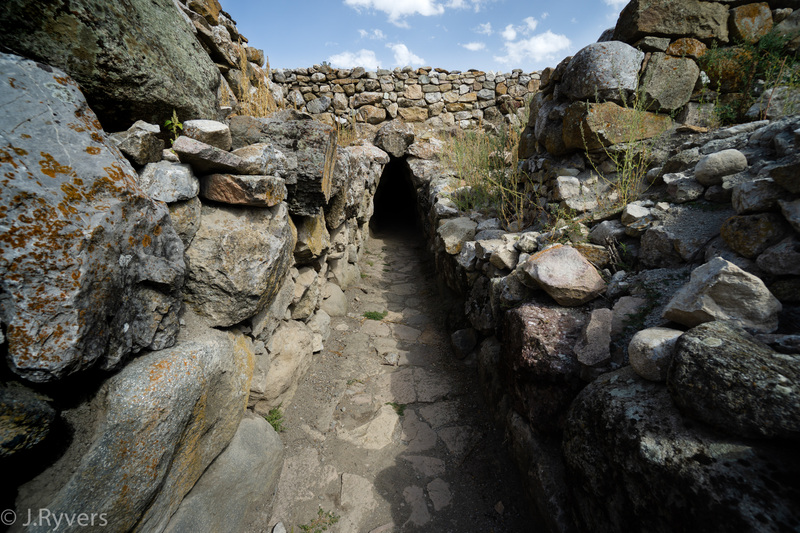 In other words, Alacahöyük was built with much more archaic technology and has had an extra 1500 years of weathering. This is important in understanding why there’s so little to see in these Bronze Age cities. Also, most buildings (including city walls) were built out of mudbrick on stone foundations. Between fires and rains returning it to mud, most mudbrick buildings wash away and become the soil that archaeologists dig through to find the stone foundations. Bottom portion of a doorway. 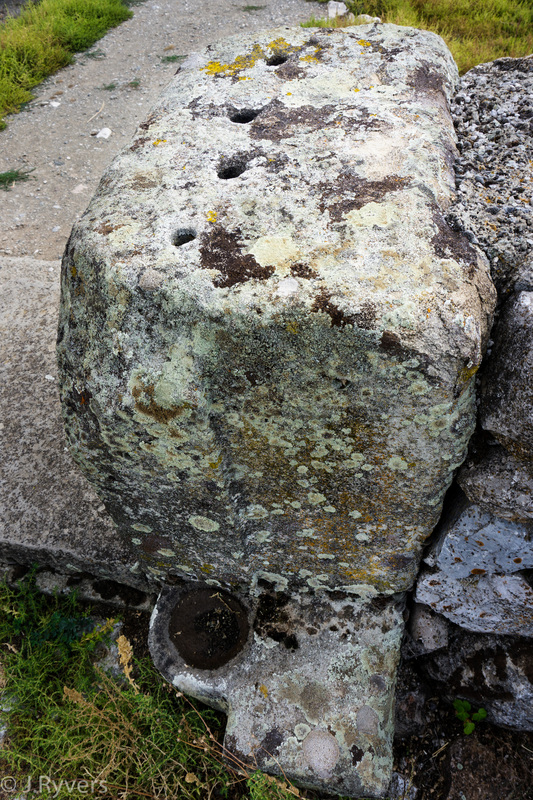 You can see the notch for the doorpost at the bottom and at the top of the stone you can see holes drilled so that pegs could hold the stones together as they were stacked. Make sure to check out the model of the city to see what archaeologists believe it would have looked like at its zenith. Far below the level of the Sphinx Gate, thirteen royal tombs were uncovered that have provided the greatest trove of artifacts and information about the early civilizations of the region. The graves have been dated to between 2500 and 2300 BC and were found containing ornate standards made into the forms of animals as well as sun-discs, gold ornaments, cattle skulls, and, of course, human remains, the majority of which can be seen in Ankara’s Museum of Anatolian Civilizations. 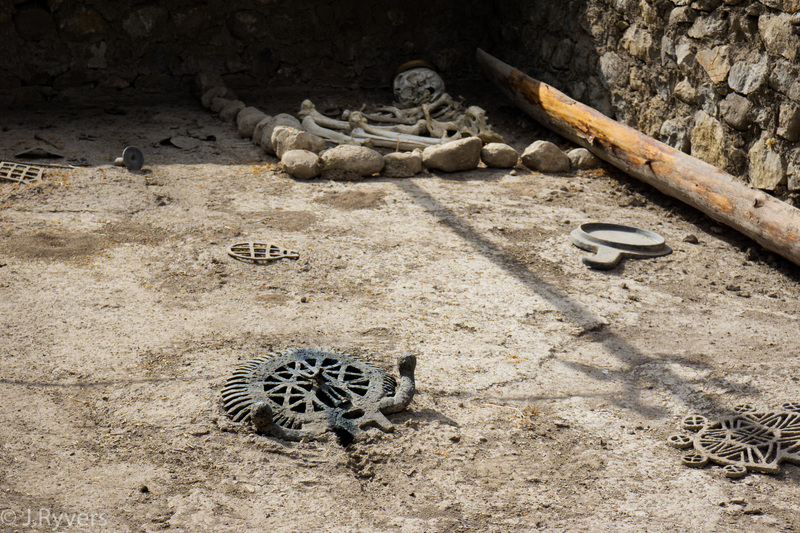 Graves with models of the grave goods that were unearthed. 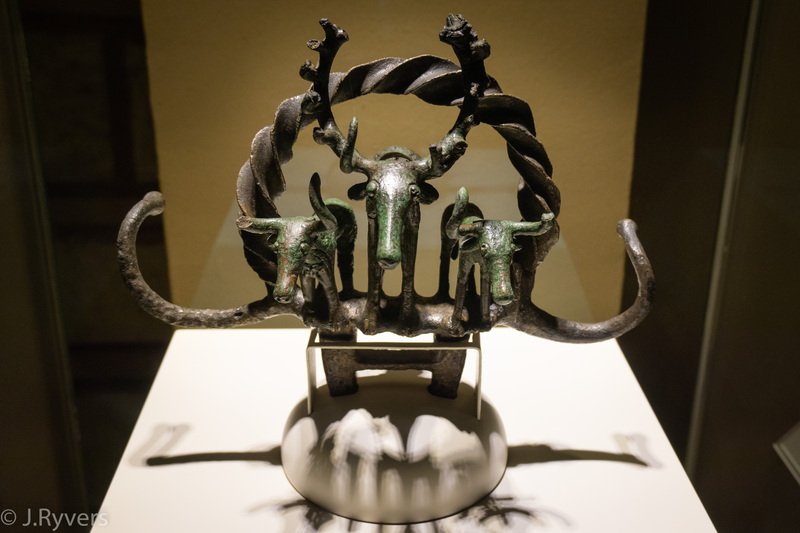 An original deer standard on display at the Museum of Anatolian Civilizations in Ankara. 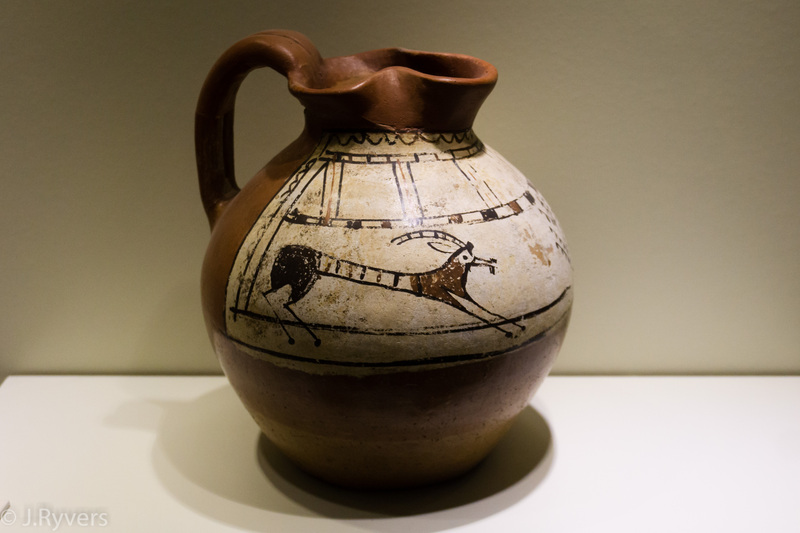 While most of the best artifacts from the digs have been housed in museums in Istanbul, Ankara, and Çorum, there is still a small though rather impressive collection of vases, statues, pins, and seals housed within the little on-site museum. One of the many items on display in the small museum. 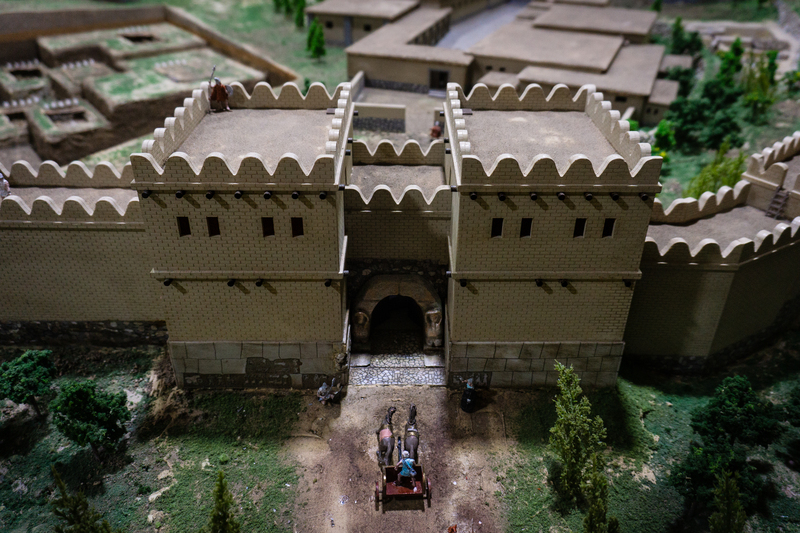 Model of what the city would have looked like during the Hittite era. 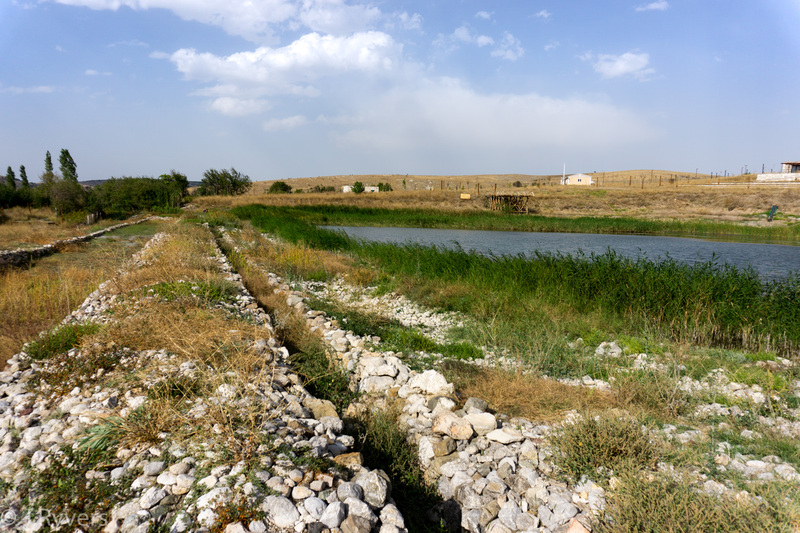 1.5 kms south from the main site of the museum is a dam that was built by the Hittite King Tuthalia IV after a season of drought in 1240 BC. The dam was one of 13 other dams commissioned at the same time just about a decade before the complete collapse of the Hittite Empire. Despite the collapse of the empire the dam has continued to be in use for local irrigation until today; meaning it’s been in use for 3240 years! Around the dam a large social complex has been built with plans to open guesthouses, a library, conference rooms, cafes, and, according to some news sources, even a chance to ride in a Hittite chariot. While construction seems to be complete everything was still closed as of Sept 2018. According to local newspapers the Hittite themed complex should be opening in the near future. At the moment locals are telling people where the gap in the fence is (right next to the garage-looking structure about halfway up to the top of the hill on the right). Public transit to Alacahöyük is unfortunately poor. If you’re willing to spend a fair bit of time on the road there is regular bus service from Çorum to the town of Alaca. From Alaca there is very irregular service to Alacahöyük. As far as we know there is nothing between Alacahöyük and Hattusha. Driving south-west on the D795 stay on the main highway which becomes the D785 from the city centre of Çorum, then turn off to the left following the brown signs to Alacahöyük. The total distance from Çorum to Alacahöyük is about 53 kms. 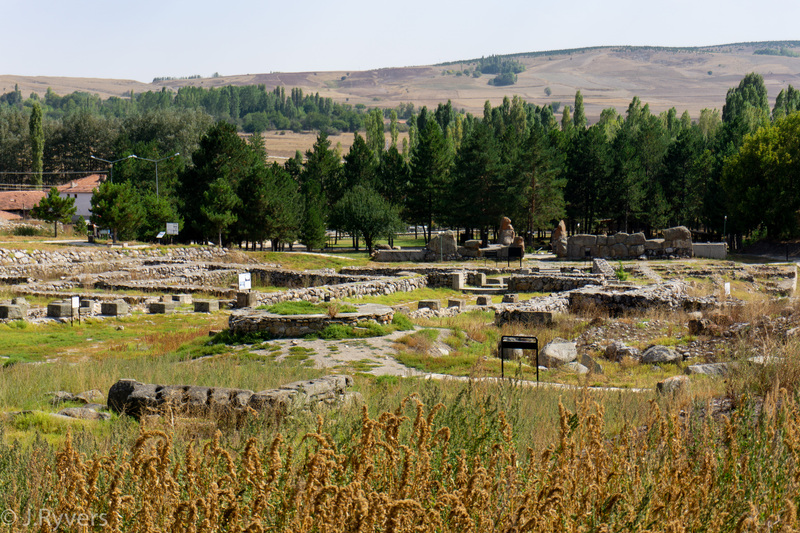 Alacahöyük is one of the many sights along the Hittite Trail. Whether you do the whole trail or just a part, hiking is a great option to get here. For more details on the route we’d recommend purchasing the official trail guidebook. For the closest options the village of Alacahöyük right outside the museum gates has some limited accommodation as does the town of Alaca itself. Otherwise you will need to look in Çorum where there is an excellent range from the cheap (we stayed here, it was too cheap) to some very comfortable four-star hotels. Planning a trip to Alacahöyük? Make sure to check out the other great sights in the Province of Çorum!